Home - Pewter Collectors Club of America, Inc. 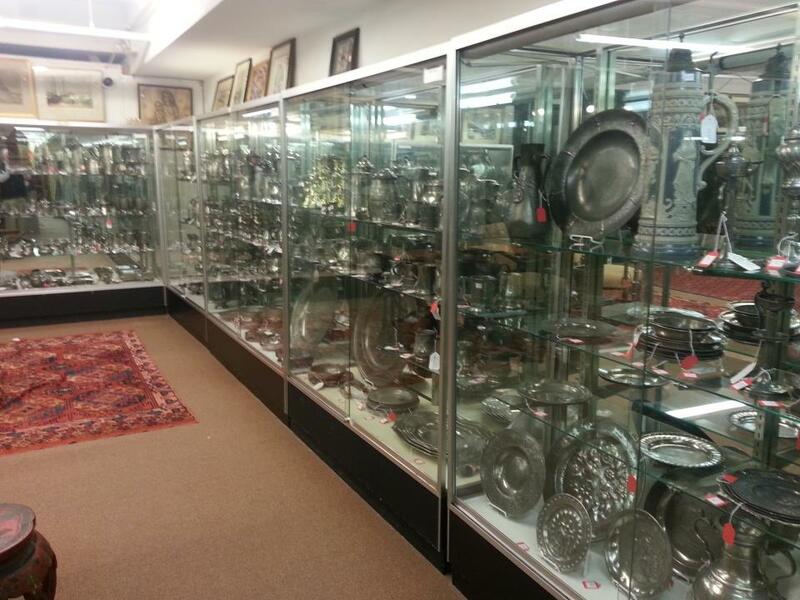 Welcome to the PEWTER COLLECTORS CLUB OF AMERICA, INC. 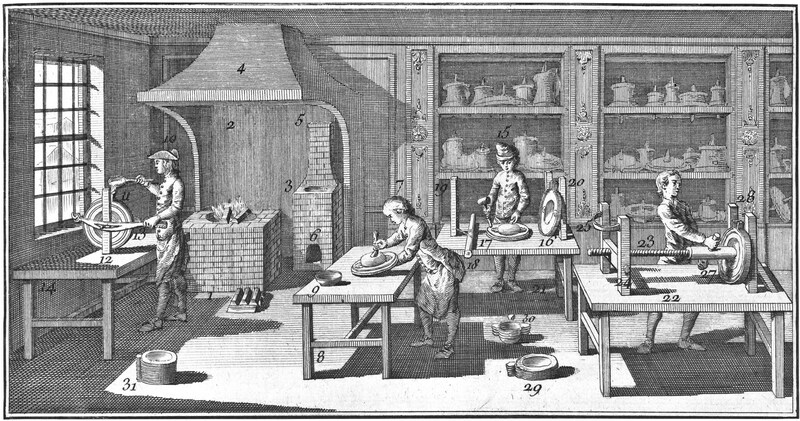 The PCCA Bulletin, an internationally recognized biannual publication of research on pewter. The PCCA Newsletter, a biannual publication of Club activities, meeting reports, exhibits and auction reports. National meetings, twice a year, at major museums and institutions. Regional groups and meetings in the Northeast, Mid-Atlantic and Midwest for easier participation at meetings closer to home. Sign up is easy at our Membership Registration. Antique Pewter is a metal alloy composed primarily of tin with varying amounts of copper, antimony, bismuth and sometimes lead. It was first used in the manufacture of vessels by the Egyptians, Greeks, Romans, and other ancient civilizations. In Europe, pewter was utilized extensively from medieval times through the 18th century when pottery and porcelain replaced it as the materials of choice for serving food and drink. 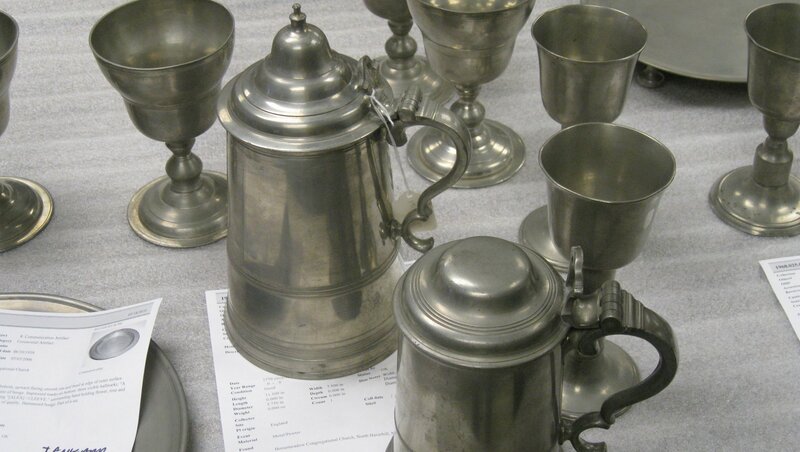 Pewter was also made and used in great quantities throughout North America from the colonial period to the 1860s. 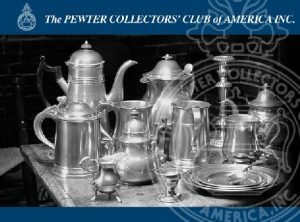 The Pewter Collectors' Club of America is an organization composed of over 600 individuals, museums, and historical societies throughout the world interested in collecting antique pewter from America, England, Europe, and Asia. Founded in 1934 and incorporated in 1977, the club encourages research and discussion on pewterers, their marks, their lives, working periods, and locations. 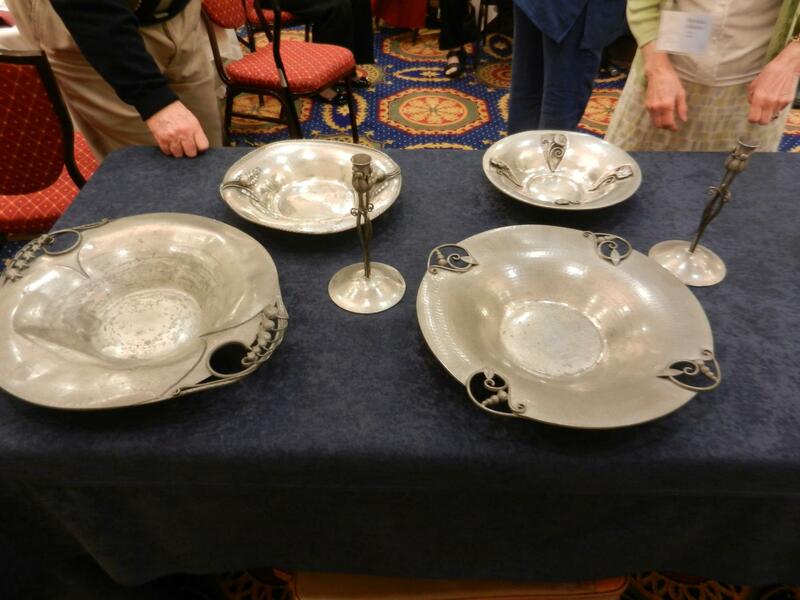 The PCCA does not buy, sell or appraise pewter, however individual members may do so but without endorsement or recommendation from the club.